Enamel — that tough, outermost tooth layer — protects your teeth from all sorts of hazards, from bacterial attack to temperature extremes. But although the hardest substance in the human body, enamel has a mortal enemy — acid. High acid levels can cause the minerals in enamel to dissolve, a process called de-mineralization. And although saliva can neutralize these levels in approximately 45-60 minutes and restore some of the enamel’s lost minerals, a constant acidic environment can overwhelm this natural mechanism. That’s why you should be careful with the amount and frequency of acidic foods and drinks like citrus fruits or coffee. You should be especially concerned about your intake of sodas, energy drinks or sports drinks. The latter in particular are designed to replace fluids and nutrients during intense exercise or sports events, but are often consumed as a regular beverage. And all these drinks mentioned are often sipped on throughout the day, resulting in a constant wash of acid in your mouth that can interrupt the protective response of saliva. There’s one other source for high mouth acidity that comes not from outside the body but from within. GERD — Gastro Esophageal Reflux Disease — is a condition in which digestive acid refluxes (flows back) into the esophagus. While chronic acid reflux can damage the lining of the esophagus and lead to ulcers or even cancer, it may also pose a danger to teeth if the acid regularly rises into the mouth. Individuals encountering this will know it by the awful, acrid taste of vomit in their mouth. To reduce the chances of high mouth acid due to food intake, limit the consumption of acidic foods and beverages to meal times and sports drink consumption to strenuous exercise or sporting events. Better yet, consider the greatest hydrator of all, water — with a neutral pH of 7. If you’re experiencing chronic heartburn or other GERD symptoms, make an appointment to see your primary care doctor or a gastroenterologist as soon as possible. 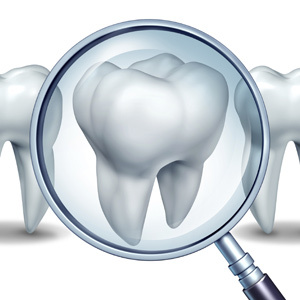 Many treatments are effective and will not only improve your general health but may also help preserve your tooth enamel.